At Elliott Opticians, we have a wide range of lens options available. From the latest technological developments, to great value ranges. Single vision lenses have one single prescription across their entire surface and are suitable in all scenarios, whether you need your glasses for driving, working or reading. For those who need to wear glasses for both distance and near vision, you can wear separate pairs of single vision glasses dedicated to each task. Another option would be to consider the benefits of bifocal and varifocal lenses. Varifocal lenses are suitable for all distances, as the lens corrects near vision, distance and in-between vision. Varifocals offer the convenience of having natural vision at all distances in one pair of glasses, without the cosmetic drawback of bifocal lenses. However varifocal lenses cannot offer 100% clear vision, as there will be areas of the lens through which you will see softer focus. The amount of soft-focus area you experience is determined by the lenses you choose. A lens tailor-made for you will minimise this effect. In recent years, the quality and range of spectacle lenses produced has improved tremendously. New high index materials in both glass and plastic mean spectacles can now be produced much thinner and lighter than before. Lighter – in some cases 40% lighter. Just think of the comfort of not having your glasses slipping down your nose. Because the lenses are thinner your eyes will appear a more natural size behind the lenses. Thin lenses are an area we specialise in and with our software we can show you exactly how thin and light your new spectacles will be. An anti-reflection coating virtually eliminates the light reflected from the surface of lenses. This improves your sight and reduce eye strain. An anti-reflection coating is particularly useful when driving at night because it reduces the glare from oncoming headlights. It’s also recommended if you regularly use a computer screen. What’s more, an anti-reflection coating will make your spectacles look more attractive because there are no light reflections to get in the way of direct eye contact. 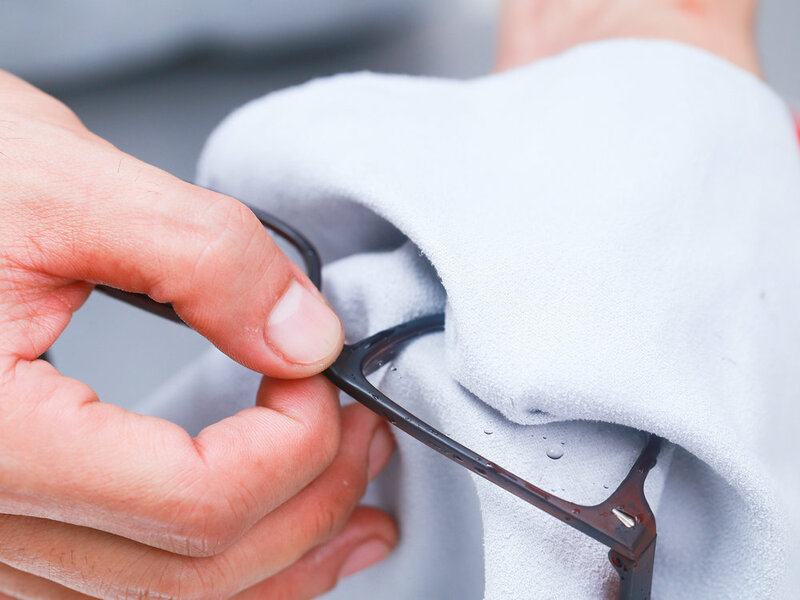 You know how easily grease, dust and dirt can smudge your glasses? Do you often find yourself cleaning them over and over again? ViewProtect coating offers you the solution. This superb top layer on your anti-reflection coating makes the lens water and oil repellant and easy to clean. You’ll know that when walking in the rain wearing your spectacles is a real hassle. Easy clean lenses are so smooth that the droplets have hardly any grip. Due to the smooth surface of the lens finger prints and greasy smears (caused by cooking or children’s sticky fingers) are extremely easy to clean.